Ok, there is no confirmation about this and Mark Shuttleworth is generally the one to announce the new name, so take this with a pinch of salt. So, apparently Ubuntu 11.10 will be called Oscillating Ocelot. This fits the naming convention that Ubuntu follows, but so does about 50 other names. Texas and in Trinidad, in the Caribbean. 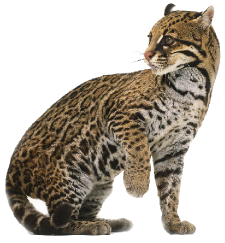 The ocelot looks very similar to a domestic cat and it's fur resembles that of a Jaguar. It's fur was once regarded as valuable.